You had to study this one or you'd miss some of the gags. Like Jack Davis and Wallace Wood stuff in "Mad" Magazine. 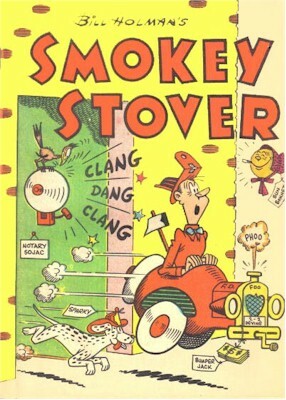 When I was a little kid, "Smokey Stover" and Gene Ahern's "Squirrel Cage" were my favorite zany comic strips, and if I remember correctly, George McManus's "Bringing Up Father" also used the nutty picture frame on the wall device like Holman's in his own strip.